KAMPALA – The opposition Forum for Democratic Change (FDC) party has said the proposal that seeks to provide for the manner of choosing Parliament leaders, including the leader of opposition, violates the spirit of the multiparty political system. While appearing before the Parliamentary Committee on Legal and Parliamentary Affairs on Wednesday, Leader of the Opposition Betty Aol and Opposition Chief Whip Ibrahim Ssemujju Nganda said the amendment of the Administration of Parliament Act is illegal. 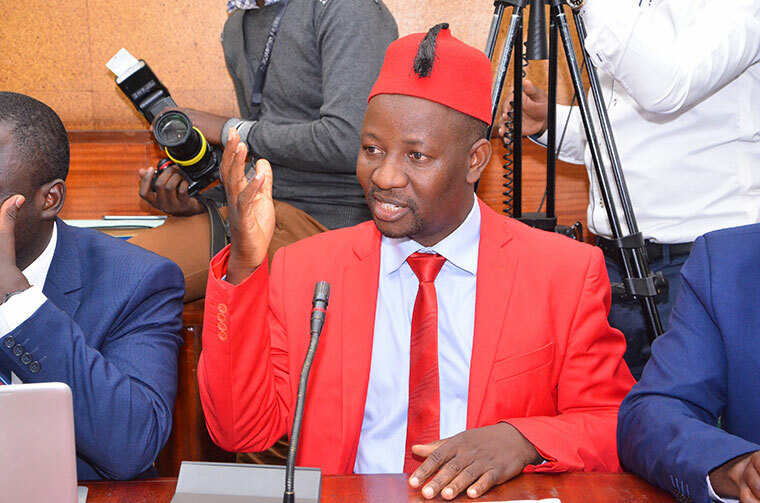 “The Bill if passed in its current form, will violate the spirit of both the multiparty political system and of our Constitution especially the Article that establishes the office of the leader of opposition,” Mr Ssemujju said. The private member’s bill, which was presented by Kabale Municipality MP Andrew Aja Baryayanga (Independent) also seeks to put a tenure of office for opposition leaders, while also elevating independent legislators to be represented on the Parliamentary Commission on one hand, and have an elected ‘Dean of Independents’ in parliament. Ms Aol argued that under the commonwealth system, the Leader of Opposition is never a creation of Parliament but a result of a general election. “The law recognizes the largest opposition group as the party in opposition and that there is nothing like parties in opposition. Since the return of multiparty politics, it has been internal politics of the party with greatest numerical strength in opposition to provide for leaders of the opposition,” she said. “As opposition we pray that Parliament should endeavour to facilitate the growth of multiparty politics, to prevail over any tendencies that erode away powers of political parties,” she added. Mr Ssemujju said clustering independents into a common group subjecting the determination of opposition leadership by members of the ruling party and none aligned members; and, turning a blind eye on commonwealth parliamentary practice are mischiefs. “Independents are none aligned; they are not a group that has a common agenda,” Mr Ssemujju said.